The federal judge in Hawaii who blocked the Trump administration’s latest travel ban is now under 24-hour federal protection after receiving death threats. The US Marshals Service flew in about a dozen deputies from the mainland to provide round-the-clock protection for US District Judge Derrick Watson, according to Hawaii News Now. Watson, who presides in Honolulu, began receiving death threats after he issued an order last Wednesday to temporarily halt enforcement of the travel ban, just before the Trump administration’s latest executive order was set to take effect. 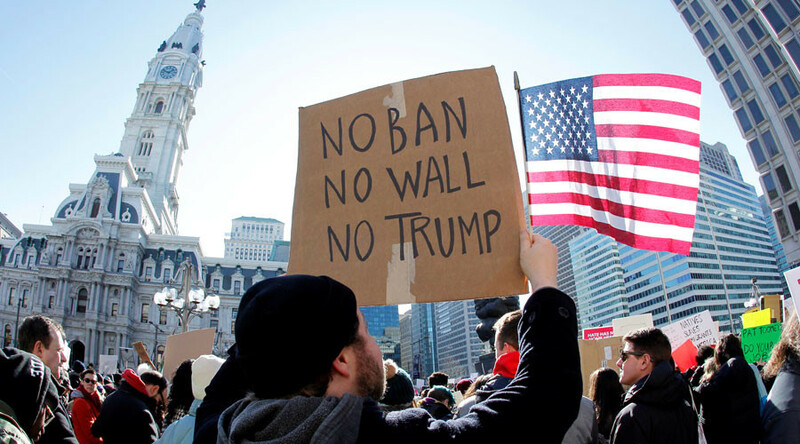 The ban would have denied travel to the US for people in six Muslim-majority countries – Iran, Libya, Somalia, Sudan, Syria and Yemen – for 90 days, and all refugees for 120 days. In the 43-page ruling, Watson concluded that the new executive order failed to pass legal muster, and the state had established "a strong likelihood of success" on its claims of religious discrimination. President Donald Trump decried Watson's ruling during a rally in Nashville, Tennessee, last week. "This is, in the opinion of many, an unprecedented judicial overreach," Trump said before pledging to take the issue to the Supreme Court if necessary. The FBI is aware of the threats and is prepared to assist the Marshals Service if needed. The agency declined to provide details on how the threats were made or what states they are coming from. The US Marshals Service is responsible for protecting federal judicial officials, including judges and prosecutors. "While we do not discuss our specific security measures, we continuously review the security measures in place for all federal judges and take appropriate steps to provide additional protection when it is warranted," the Marshals Service said in a statement.